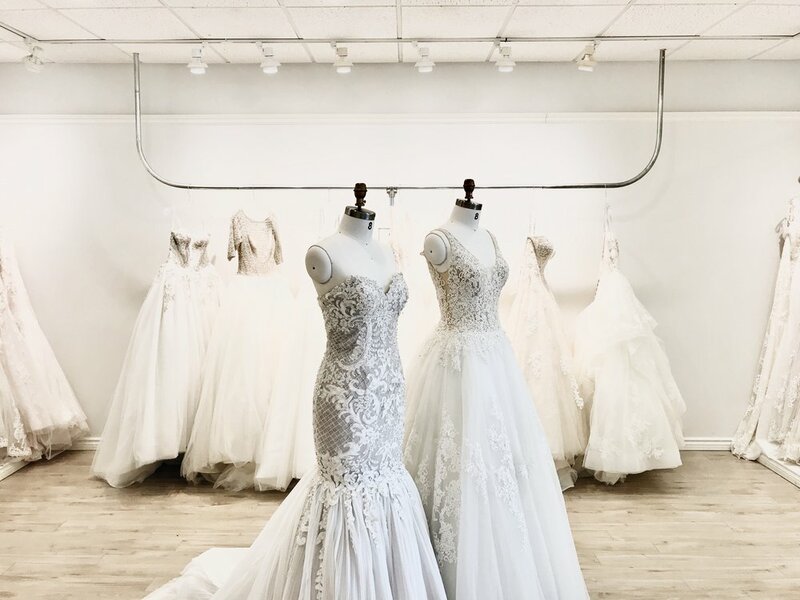 Finding the perfect veil can sometimes be just as difficult as your dream dress and often times brides are unaware of how many options there are. We've got your covered in our "How to Pick the Perfect Veil" series, where we break down the different veil styles so you can sashay your way out the store with the perfect one! Let's start with the shortest veil. Born in the 1950s, the birdcage veil is a short style that often covers the eyes and sometimes down to the chin. The birdcage veil is typically made with netting fabric and decorated with feathers and/or floral accoutrements. This really has a romantic flair, an old holly touch and truly adds a vintage style to your overall look. Typically worn on an angle, the blusher veil goes by many names including Angle and Wedge veil. Like the birdcage veil, a blusher is a shorter veil option that typically comes right below the cheek area.Though many brides do wear it on an angle, modern brides have constructed many new ways to wear this veil such as combed to the back as well as up and away from the face in a more avant-garde style. Moving into longer length, the ballerina veil gracefully sits anywhere between the knee to the ankle. It’s a happy medium for brides who don’t want a veil too long or too short. The cathedral veil is for brides who want to evoke drama. It is among the most formal veil styles and is the longest of all the veil lengths. Veils like these can be as long as a gown train or even longer. The chapel is another lengthy veil full of drama. This style just sweeps the floor and sometimes has a bit of a train. However, it is nowhere near as long as the cathedral style. For the brides that are looking for something practical and pretty, the elbow-length veil is the most sought out option. Shorter than a ballerina veil, but not a blusher, the elbow-length veil provides romance and whimsy without any the commitment a longer style requires. 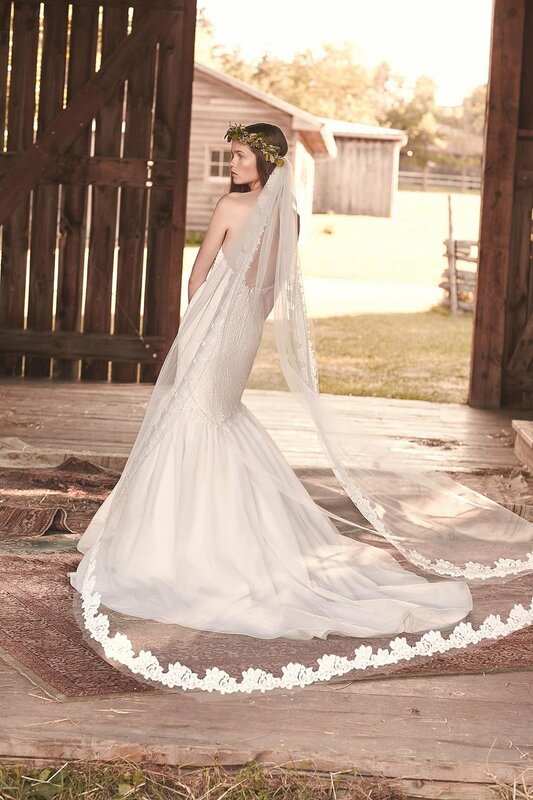 The fingertip veil is the most versatile of all the veil styles. It combines both drama and practically in length as most fingertip veils are 36 inches in length, extending right to the wearer’s fingertips. Stay tuned for Lesson II of’ How To Pick the Perfect Veil’ where we’ll be dissucing veil detail!